Blogger is a blog-publishing service that allows multi-user blogs with time-stamped entries. 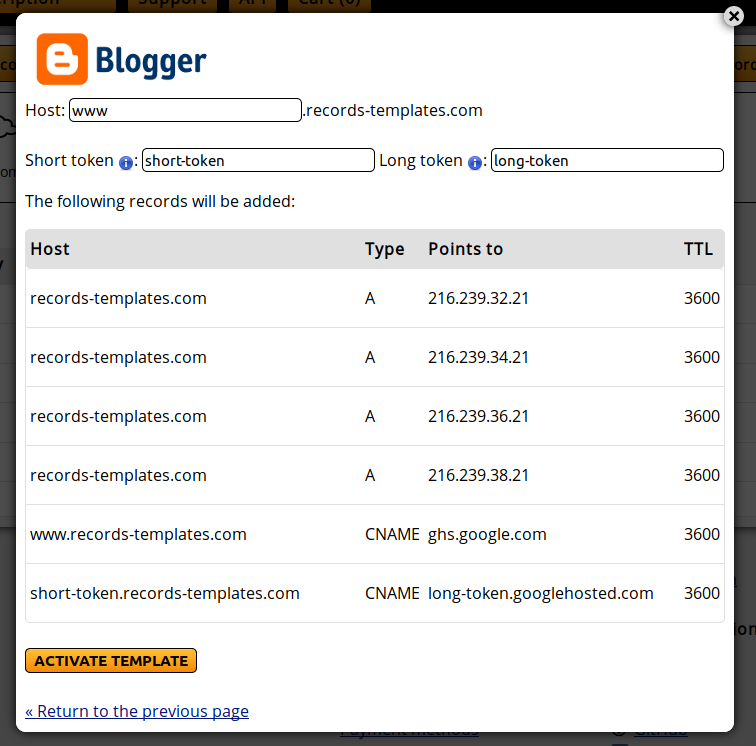 One of the easiest ways to use our services for your blog, hosted on Blogger, is using our Records Templates. 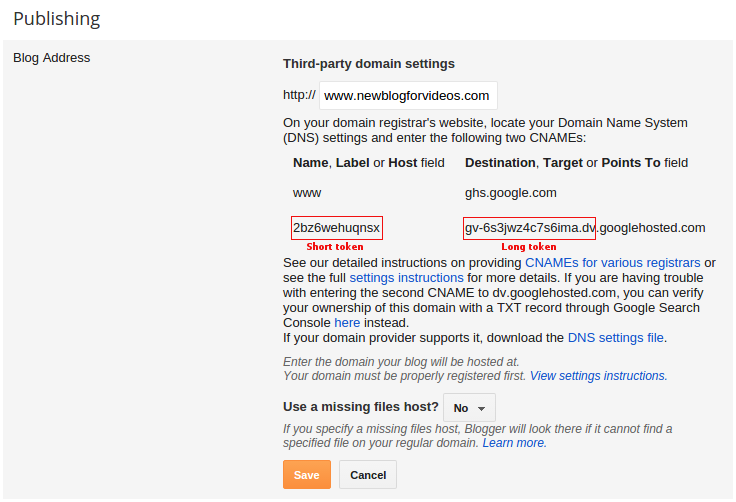 They allow you to create the necessary records in your Master DNS Zone, when you decide to use your own domain for your blog in Blogger.. The first one is the short token and the second one is the long token. The tokens at the screenshot are just an examples.